The Nash Mirror features a large oversized rectangular frame. It is ornately decorated with open work scrolls and flourishes. The piece is then finished in our custom glossy green lacquer. Make any room instantly larger by adding the Nash Mirror. Its grandiose size makes it the perfect focal point for any design. 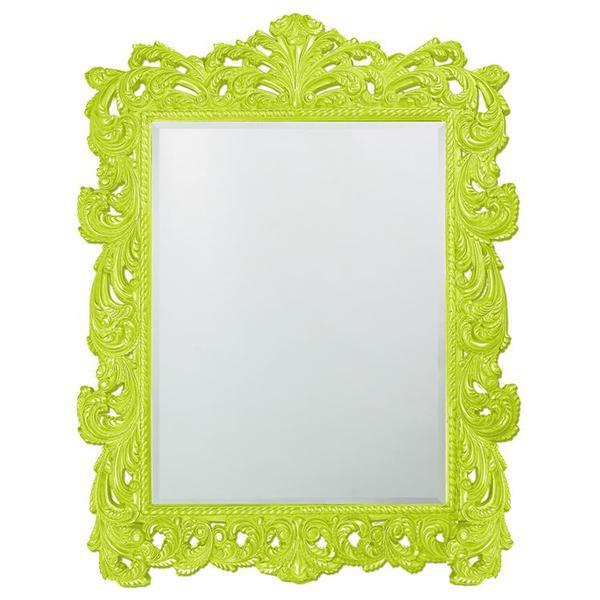 The Nash Mirror is part of our custom paint program and is available in one of ten vivid colors. Customizable for larger orders.